New Year, and a good start too here at En Route. 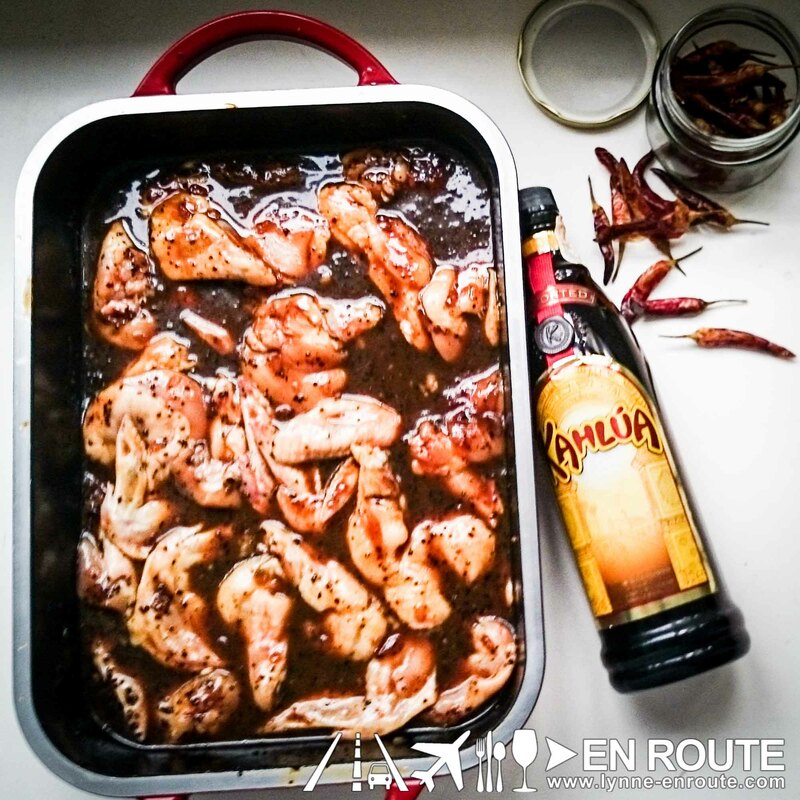 What better way than to turn the heat up in cold January than with a new addition to our buffalo wings recipes?? 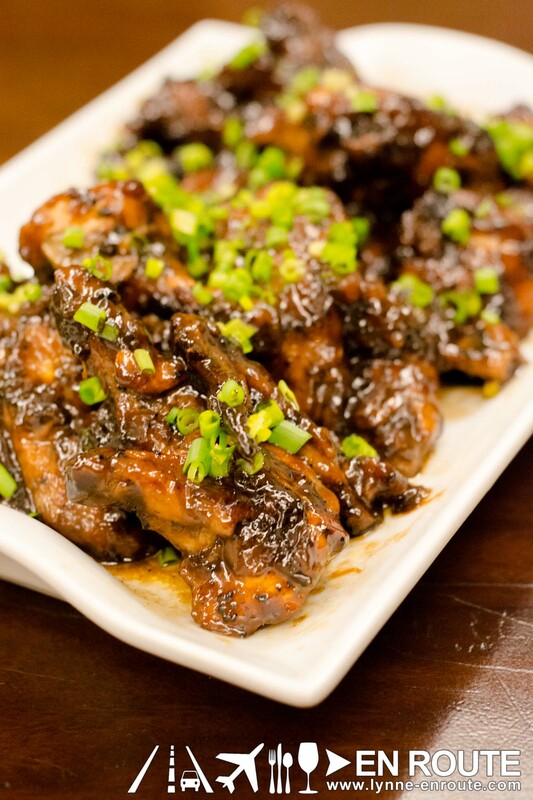 This recipe was inspired by a baked coffee wings recipe before, but the bittersweet taste will probably benefit with a bit of spicy kick from bird’s eye chili or siling labuyo. There are two ways to cook this: The no frills slow bake method, which makes it easier since you just leave it at the oven, or the deep fry to crispiness. Preferably, deep frying will give a better experience since baking does soften the chicken, but you just don’t get that excitement from a fried one. But both will have to be marinated at least four hours to get those flavors in. Once all mixed up, place chicken into a container and pour over the mixture. Marinade for four hours or overnight. Take the chicken out of the marinade and toss into a bowl. Evenly coat the chicken with the flour/cornstarch. Don’t throw the marinade yet! Place the marinade into a saucepan and reduce to about half. In a separate container, place marinade and chicken and shake until evenly coated. Garnish with onion leeks if you wish. Baked method: Basically once the chicken has been marinated, remove from marinade and place in a broiling pan. Set oven to 350 Fahrenheit and bake for 15 minutes. No need for flour and cornstarch.